Scribo Creative is an indie publisher crafting books that make you think and smile. Resident artist/author and entrepreneur Maria Castro has always loved the arts and the world of publishing. Growing up, she joined many art contests, created her own stationery line with friends, and was the unofficial in-house cartoonist and graphic designer for their family-owned boutique printing press. A corporate career in marketing followed. She rediscovered her childhood passion when she got introduced to the world of adult coloring books. 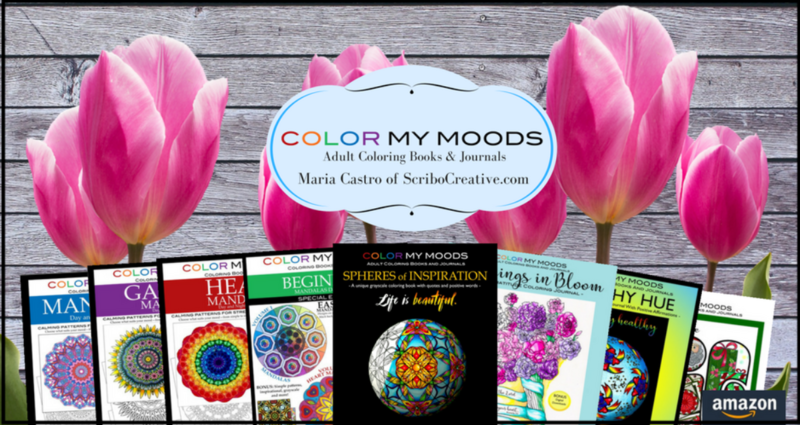 Her first series of books, Color My Moods, Day and Night series will take you to the world of coloring with designs perfect for relaxation and meditation. The books are designed to suit your coloring mood that day — choose from simple, medium or intricate designs.